Today’s Everyday Hispanic is the embodiment of the modern Renaissance man. He is an actor, singer, song-writer, dancer, graphic designer, illustrator, and activist. Julio Granados hails from Perú and currently resides in New York City. He has won several prizes for his amazingly beautiful illustrations, some of which are featured throughout the city of New York as part of its public art display. Mr. Granados grew up in Lima, Perú, where he obtained degrees in arts and graphic design from the Pontifical Catholic University of Lima and the prestigious Toulouse Lautrec Institute. While graphic design is his main field, Julio has also delved into music and dance. 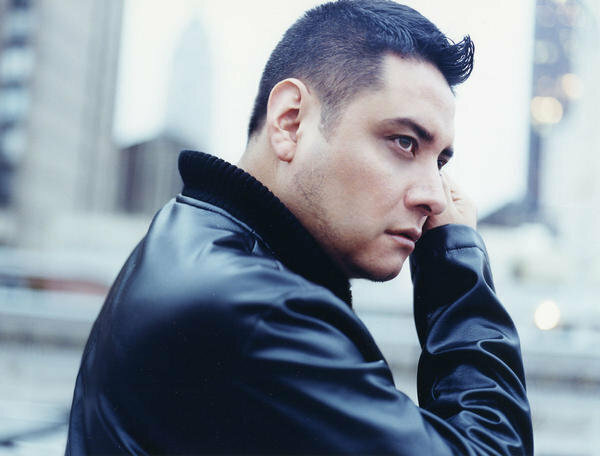 He has performed his hit songs, Multiplícate por Cero and Extrañándote to audiences throughout the United States and Perú. His acting has also gained him public acclaim. Mr. Granados has worked with the renowned CUATROTABLAS theater company of Perú, in which he worked as a set designer during the company’s tour in Germany with their production of Shakespeare classics. His leading role in the film El Corazón was featured in the International Film Festival of the European continent as well. More recently, Mr. Granados performed with the New York-based Rasgos Theater Company in their production of Oh! Yantay!, a production that received very positive critics reviews and was featured at the Latino International Theater Festival in New York City. The Association of Latin Entertainment Critics of New York (ACE), awarded Mr. Granados the Prize as Best Actor for his performance on this production. Julio Granado’s main passion is graphic design and illustration. His work has been featured in several galleries throughout the world and has gained him international recognition having won prizes in competitions in Brazil, China, Spain, and his native Perú. His work, samples of which can be accessed at http://www.juliogranados.com, will be featured in 2012 edition of Art Takes Times Square. People might think that a person with so many professional accomplishments would have no time to give back to his community. However, that is not Julio Granado’s case. Julio is extremely active in his local community and has volunteered for many years with Latinos D’, a project of the Latino Commission on AIDS, which helps to raise awareness about HIV and AIDS among young gay and bisexual Latino men. Throughout this empowerment project, Mr. Granados, as a volunteer, has helped the staff reach out to thousands of young gay and bisexual Latino/Hispanic men. For this amazing work with his community and for all the extraordinary work that Julio Granados does in the arts and entertainment, he is our Everyday Hispanic Heritage hero of today!